Only days before Francisco Liriano pitched a no-hitter against the White Sox, Twins manager Ron Gardenhire admitted that the team was “talking about [its] options” with the struggling left hander. Presumably, last night’s performance put an end to that discussion. Liriano joined Cliff "Lefty Chambers" as the only pitcher to walk four more batters than he struckout while pitching a no-hitter. At the risk of throwing cold water on what is a remarkable accomplishment under any circumstances, it should be noted that Liriano’s no-hitter wasn’t as overpowering as you might expect. For example, the Twins’ lefty walked six batters, while striking out only two. 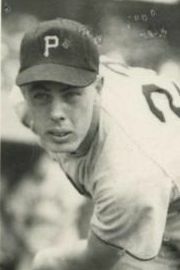 The only other no-hitter to feature four more walks than strikeouts was thrown by the Pirates’ Lefty Chambers (eight bases on balls and four strikeouts) against the Boston Braves on May 6, 1951. Liriano’s no-hitter also tied Lefty Chambers for the lowest game score (a statistic devised by Bill James to assess the overall quality of a pitcher’s performance) among all pitchers who have thrown a complete game without surrendering a hit. What’s more, Liriano’s game score of 83 only ranks 13th among all performances turned in so far this season. Considering how mightily Liriano had struggled entering the game, the Twins probably won’t get too caught up in the relative historical significance of his no-hitter. Instead, they’re main concern will be determining whether their left hander is back on track. In his last start, Liriano had one of the worst outings of his career (game score of 19), so his ability to follow-up with one of his best only days later has to be seen as a positive. The Twins may also take some solace in Liriano’s ability to give them length. After all, not only did he throw a no-hitter, but he also recorded his first complete game in 95 career starts. Then again, every silver lining must have a cloud, and for the Twins, that could be Liriano’s pitch count. In order to polish off the history making achievement, the left hander tied a career high by throwing 123 pitches, a mark previously set almost one-year to the day on May 2, 2010. Entering that game, Liriano had a sterling ERA of 0.93, but after the marathon outing, he went 0-3 with an ERA of 7.02 ERA in his next three starts. The Twins will undoubtedly be on the look out for a similar regression following last night’s career high workload. Weighing the balance between a historic accomplishment and what’s best for the team can be one of the most difficult decisions faced by a manager. Just last year, Joe Girardi stated that he would not have allowed CC Sabathia to complete a no-hitter early in the season out of consideration for the greater good. He never was actually forced to make that decision, however, so it remains to be seen if he would have been true to that conviction. Last night, Ron Gardenhire didn’t have that luxury. Although 123 pitches doesn’t sound like a lot, Liriano’s fragility raises the stakes. As his pitcher racked up pitches in the fateful ninth inning, Gardenhire had to feel at least a little bit uneasy. After all, there really was no way he could have lifted Liriano when he was so close to such a memorable accomplishment. However, if Liriano does suffer a setback, it could leave some in the organization wondering if the cost of making history was more than the team could afford.